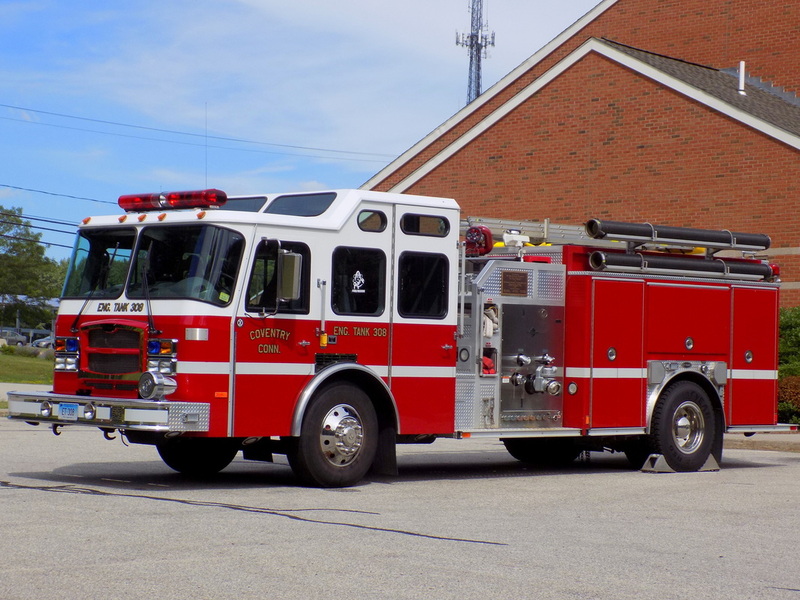 This is the page for the Coventry VFD. They have 2 engines, 1 brush truck, 1 SUV, 3 ambulances, 1 dive unit, and 2 stations. 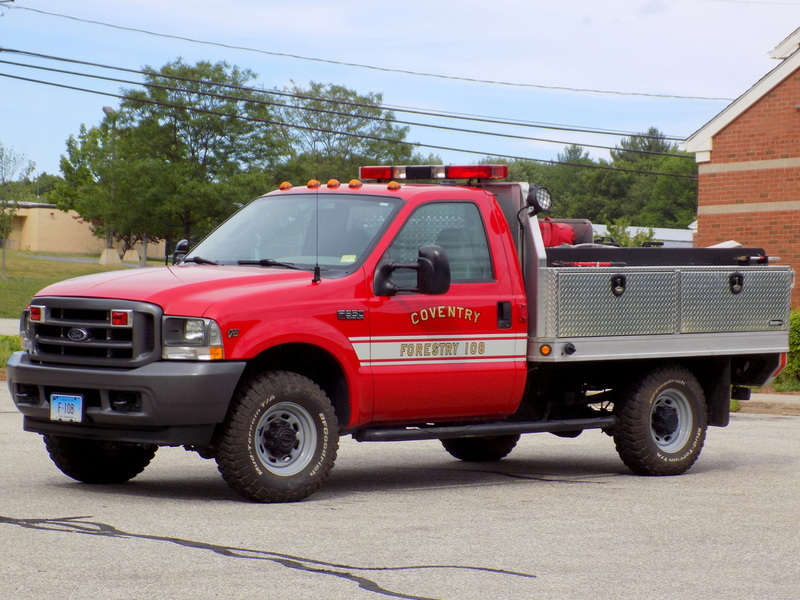 Coventry's Forestry 108, a 2002 Ford F-350 brush truck. 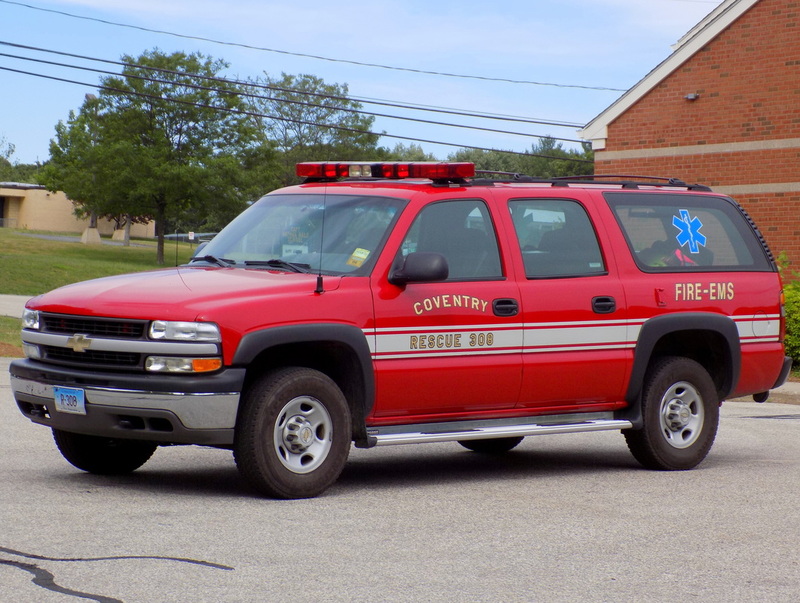 Coventry's Rescue 308, a 2002 Chevy Suburban EMS response SUV. Coventry's Engine Tank 208, a 1997 HME/Marion. 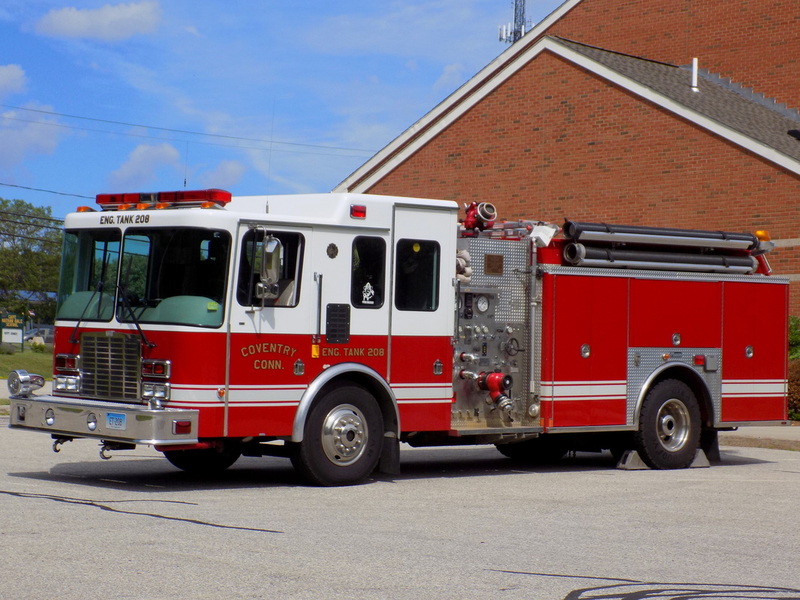 Coventry's Engine Tank 308, a 2002 E-One. 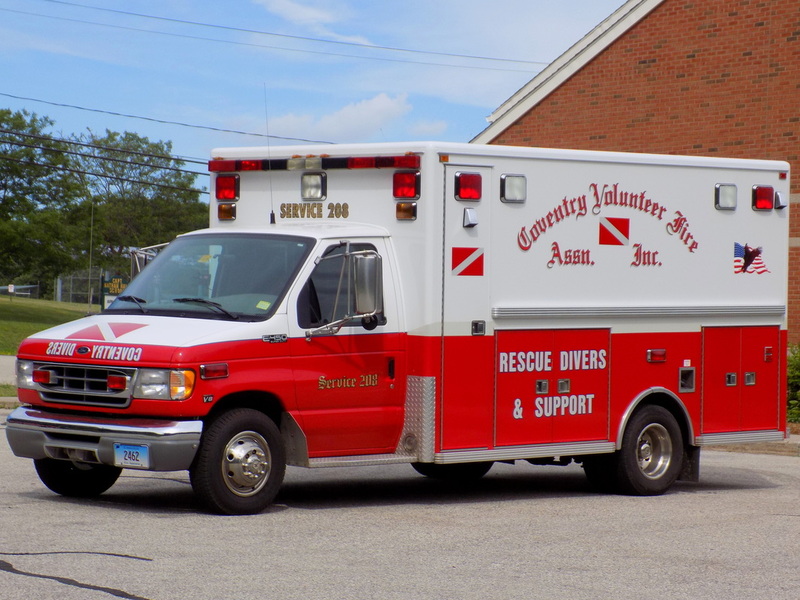 Coventry's Service 208, a 1999 Ford/Lifeline converted ambulance used as a dive unit. 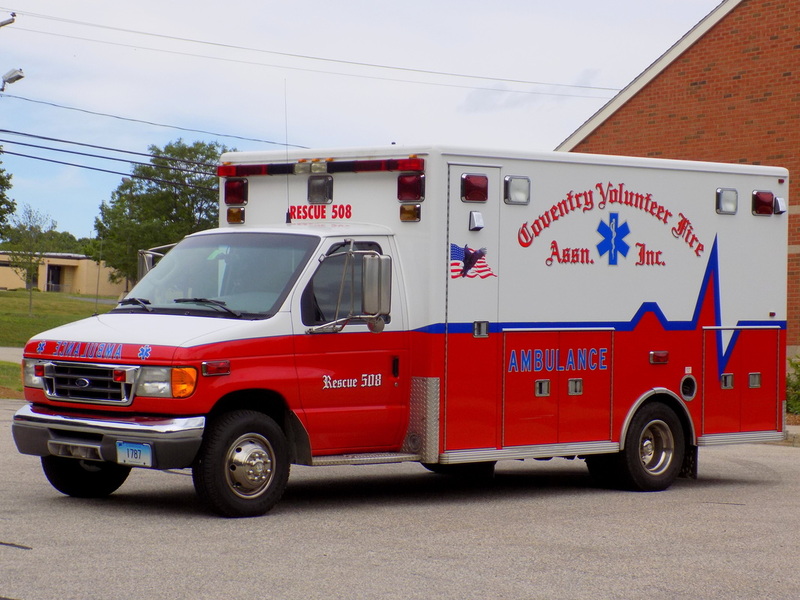 Coventry's Medic 508, a 2003 Ford/Lifeline ambulance. 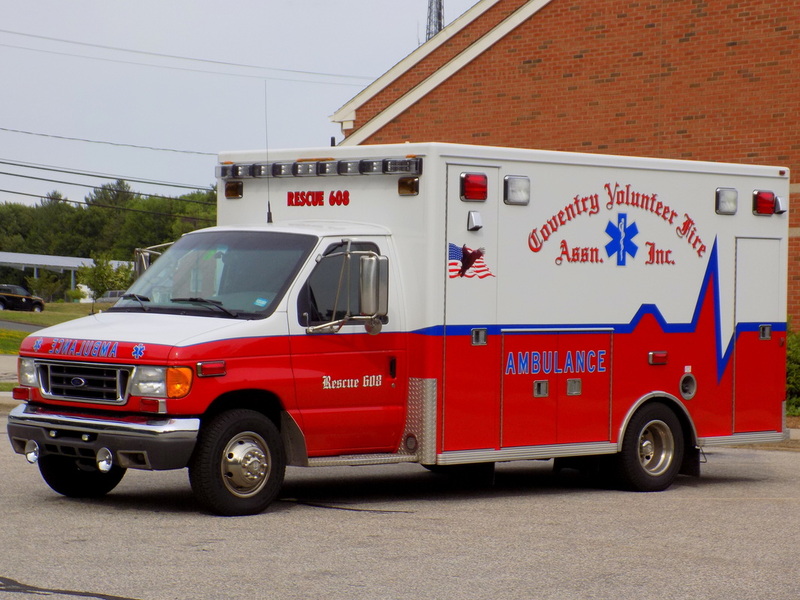 Coventry's Medic 608, a 2006 Ford/Lifeline ambulance. 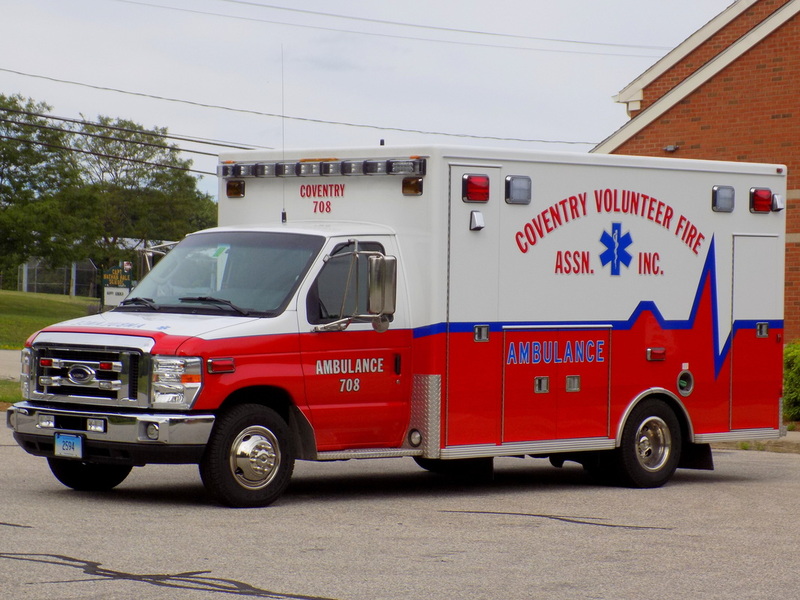 Coventry's Medic 708, a 2010 Ford/Lifeline ambulance. 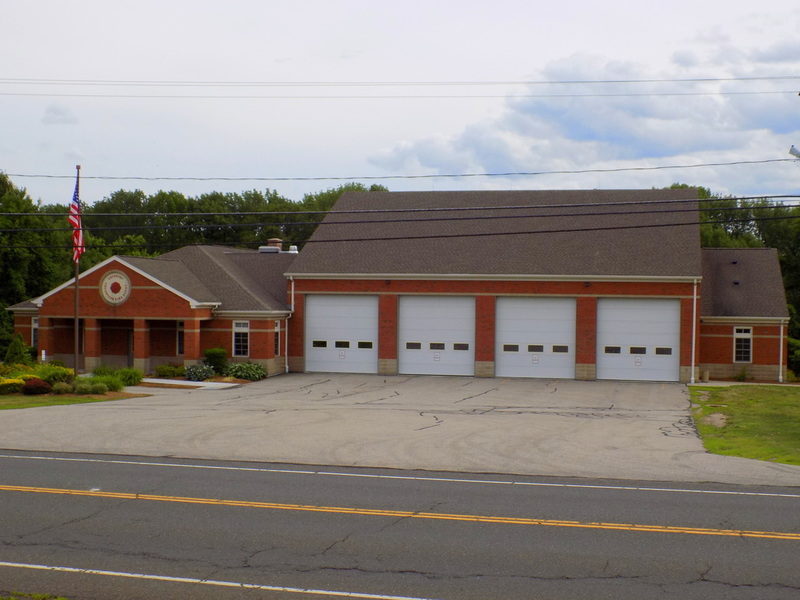 Coventry's Station 8, located at 1755 Main Street in Coventry, CT.